Despite the broad knowledge of hen needs for the developing embryo and chick post hatch in published literature, industrial implementation of hen feeding regimes for progeny productivity by nutritionists is still being assessed. This paper reviews studies on hen nutrition for progeny performance and the perspective of the U.S. nutritionist in implementing effective hen nutrition strategies. Meat-type hen protein and energy nutritional status for progeny improvements has been assessed for some time and most recently to improve chick weight and viability from young breeder hens. Crude protein (19 versus 25 g) and energy (325, 385, and 450 kcal ME/kg) were fed to broiler breeders from 19 weeks onward and in all hatches male chicks fed 450 kcal energy, but not female chicks, had improved early growth compared to chicks from hens fed 325 kcal energy. Independent of dietary protein, high energy (450 kcal) in hen diets increased male progeny (day 41) carcass protein and decreased carcass fat. It was postulated that male, but not female, chicks responded to increased dietary maternal energy due to heightened early growth rate. Moraes et al. (2014) evaluated progeny from hens fed diets differing in protein (13.7 and 15.3%) and energy (2,528 and 2,736 kcal) during rearing, and energy (2,800 and 2,900 kcal) during lay. Improvements in broiler breast meat yield were noted as the energy to protein ratio was increased from the rearing phase to the laying phase, suggesting pullet nutrition can also impact progeny growth and yields. Two recent studies in broiler breeders evaluated dietary lysine on progeny. Mejia et al. (2013) used corn based distillers grains with solubles to reduce hen dietary lysine and found that broilers from young breeders (26 weeks) had low body weight and breast yield, but higher dark meat yields when hens were fed the lowest lysine (600 mg lysine/hen/day). The former response mimics broiler responses when fed suboptimal lysine diets. Ciacciariello and Tyler (2013) found that a strong correlation liveability was improved (P=0.06) in broilers from hens fed supplemental organic minerals. 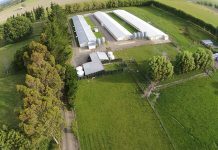 Moreover, progeny from hens fed organic manganese and zinc tended to have improved breast meat yield over that of the progeny from hens fed inorganic levels. Although past research has shown the carryover effects of zinc on progeny immunity and bone quality, future research should assess manganese and zinc ability to mediate overall health and protein accretion in progeny (e.g., 75 to 150 mg Zn and Mn/kg varying by source). Other than the micronutrients cited above, commercial nutritionists are assessing prebiotic/probiotics in hen diets on progeny performance. Kidd et al. (2013) fed broiler breeder hens diets with and without supplemental 0.68 kg Saccharomyces cerevisiae and evaluated progeny. Progeny from the 39 week, but not the 32 week hatch, had better feed conversion and breast meat yield than broiler control fed hens. Also, hatching eggs from the 32 week hatch, but not the 39 week hatch, has less bacterial contamination. This work points to improved hen nutrient utilization and possibly reduced pathogens as a function of dietary Saccharomyces cerevisiae. Hatchery sanitation is paramount for good chick viability and subsequent 7-day mortality. 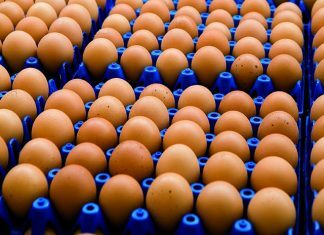 U.S. breeder nutritionists can help to promote sanitary incubation conditions with feeding programs, which reduce internal and external hatching egg contamination. In addition to the work cited above using a dried fermentation product for commercial poultry, feeding programs that minimize external egg contamination (e.g., corn particle size, betaine, sodium chloride, and inorganic copper) can boost hatch and progeny viability. How can we use the current knowledge to move forward? 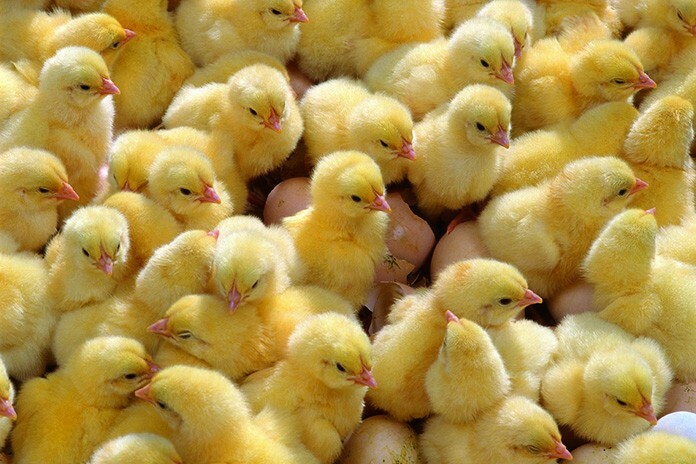 Hen nutrition and hatchery management can aid to generate a robust chick. For many micronutrients, progeny needs are higher than for hen productive performance. Energy, a dried fermentation product from Saccharomyces cerevisiae, tocopherols, cholecalciferol, selenium, manganese and zinc have been shown to impact progeny from hen research studies. With fat-soluble vitamins, cost benefit studies should be conducted based on 7-day mortality. More research is warranted with amino acids and energy on hen productivity and progeny impact. Commercial test evaluating levels and sources of antioxidant vitamins and minerals (including zinc and manganese) should be fed to hens to assess hatchery contamination and subsequent 7 days mortality. Finally, hen levels of micronutrients and additives thought to improve progeny viability should be further assessed in their ability to impact yields. The interaction of in ovo nutrition with hen nutrition remains unclear.